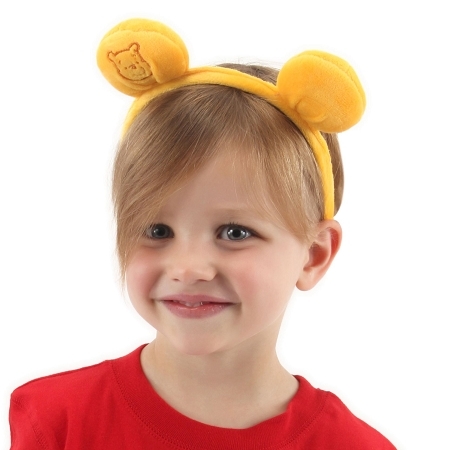 These Winnie the Pooh ears are made of super-soft velboa and attached to a sturdy headband. Left ear features embroidered Pooh artwork. Licensed by Disney. Worked very well for my pooh bear costume, I was worried that it would be to small but it got very comfortably(I'm 16). 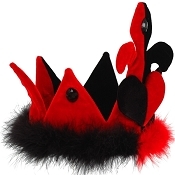 I woild recomend this headband! Adorable. Just the right size for my 2-yr old's head. She loves being Pooh! We got them for her so she could be the star of the show at her Pooh-themed birthday party but they continue to be a favorite toy. Quality is great. 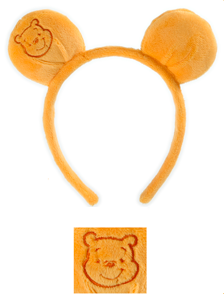 Nice and soft, plush ears, fabric covered headband. Nice product. Adorable. 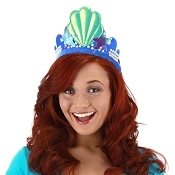 They fit an adult size head. At first I thought the picture of Winnie the Pooh would've been tacky and childish but I actually like that aspect that way people know who I am. Great for any size head and it's a soft headband.